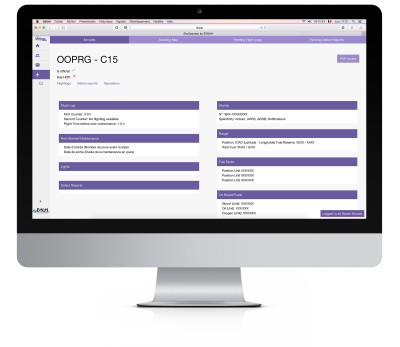 A simple and efficient web application for school, flying club and aircraft operator to manage fleet and members, and share real time information about aircraft with their pilots and students through SkyLiberty. Follow engine counter, refueling, defect report and share an updated version of the pilot manual to your user. SkyOp provides also a user friendly and safe booking service. Each flight log or defect reports generates a notification. When a defect is repaired, all your pilots are notified. Follow your members and allow them to share information about course, generalities and aircraft. You provide them a way to communicate easily into your community. This is the best way to promote your organization in front of thousands of pilots and students around the world through SkyLiberty Network. If your aircraft is SkyLink equipped. More than a track map, you will be notified if an abnormal manoeuver happens with your aircraft. You can also receive a landing analyse report to prevent maintenance or a potential defect. 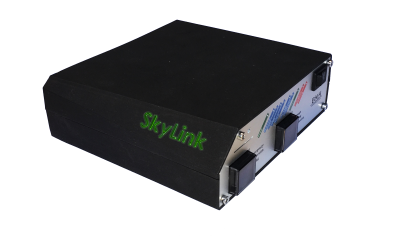 SkyLink will transform your aircarft into a "Connected Aircraft". Put this little box in your aircraft and you will have access to a lot of new services to improve the flight management and anticipate the maintenance in orther to reduce grounded time. Be advise if the battery of your aircraft is low on the hangar. Analyse the stress during landing or abnormal enroute flight to anticipate. Track all your fleet in real time. Don't look at the map anytime, if anything happens (airspace violation, abnormal acceleration, very hard landing) you will receive a notification. Communicate with pilots in flight or when they land far away. Improve safety by providing to your pilots and students a way to obtain weather, notams and manage their flight plan during flight or where cellular network is not available. This development is possible thanks to the support of Integrated Applications Programme of the European Space Agency (ESA).